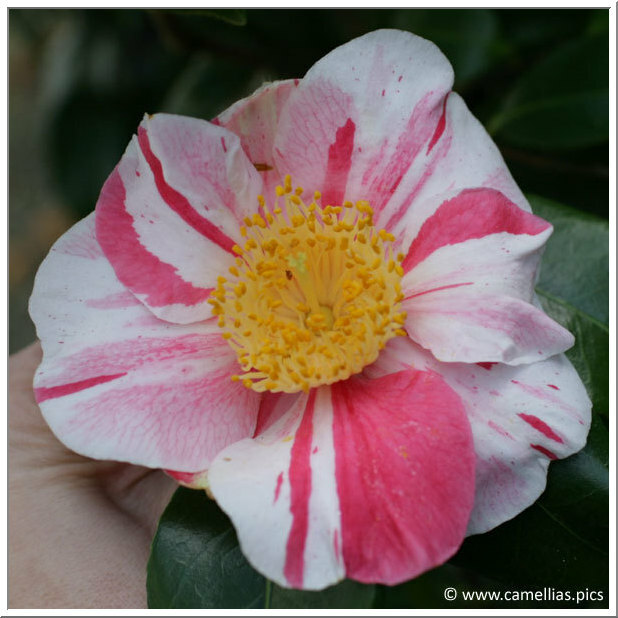 Welcome on Camellias.pics, you will find here a nomenclature of all camellias I photographed and pages on camellia care, camellia diseases, collecting camellia cuttings and pruning. 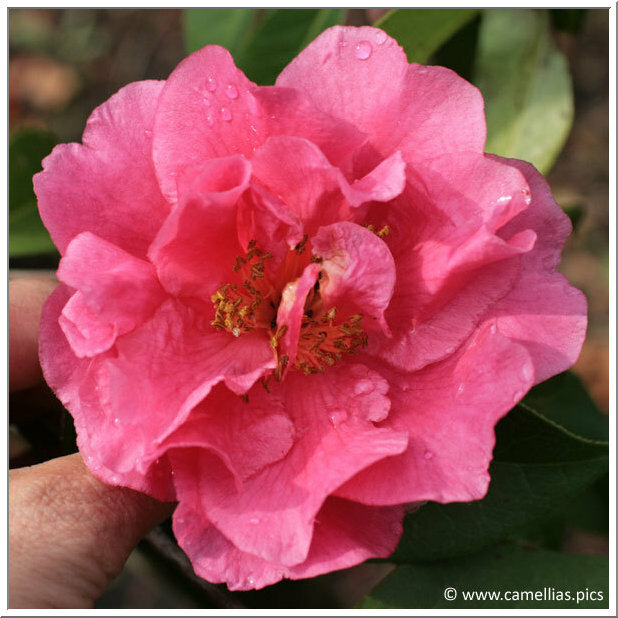 A simple questionnaire with five questions will help you identify a camellia. 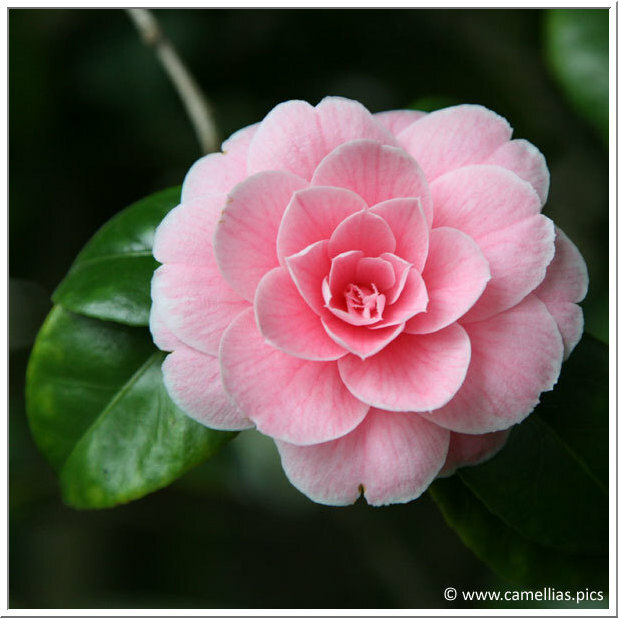 And if you can't find it, you can use the advanced search function will let you find camellias according to criteria you will choose (specie, color, size, habit, ...). 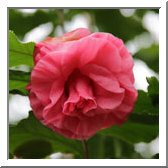 We also have pages dedicated to visits and camellia news. 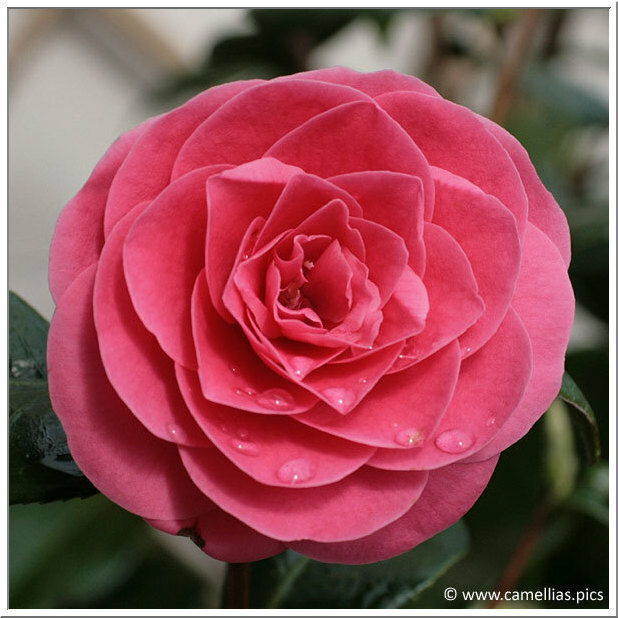 We have received numerous requests, but we want to make clear that we don't grow camellias and have nothing to sell or exchange. Today we learned of the disappearance of Otto Eisenhut, founder of the Eisenhut Nursery and of the Parc du Gambarogno (photo on the right), on the banks of Lake Maggiore in its Swiss part. 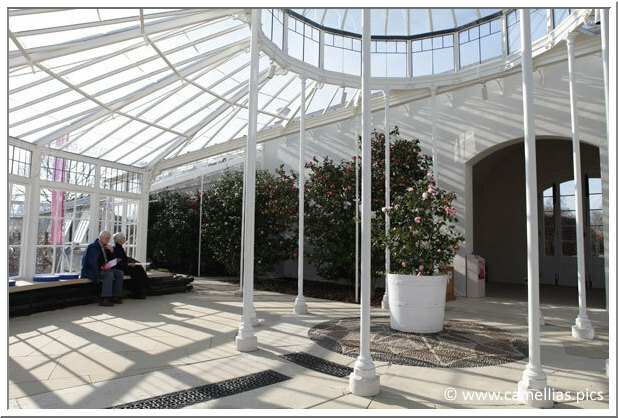 The Eisenhut Nursery collection is remarkable and very rich, not only for its camellias but also for magnolias and citrus fruits. It is an essential visit for connoisseurs who visit Lake Maggiore. Our condolences to Reto, who is in charge of the Nursery, and his family. 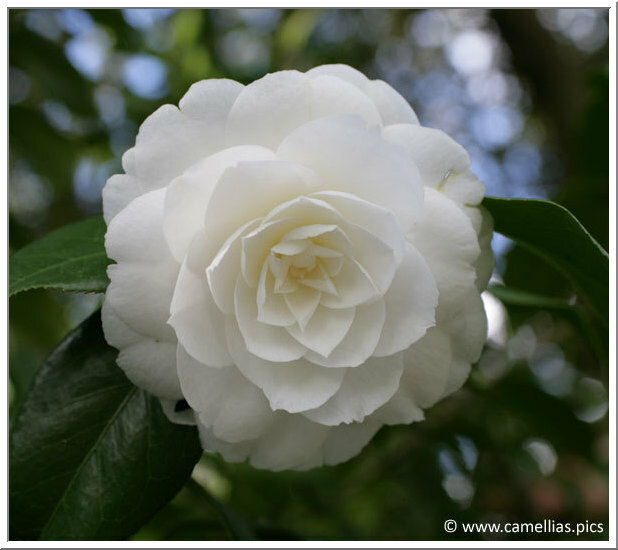 For the 13th anniversary of the site, we publish 81 new camellias including the 2 300th of the nomenclature. It is 'Island Sunset', a williamsii hybrid, seen at the famous Nuccio's Nurseries, USA, that we visited at the beginning of the year and to which we devote a visit page. 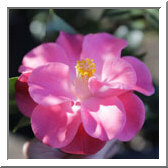 We have also updated the nomenclature with photos of the Nuccio's obtentions taken at the nurseries. 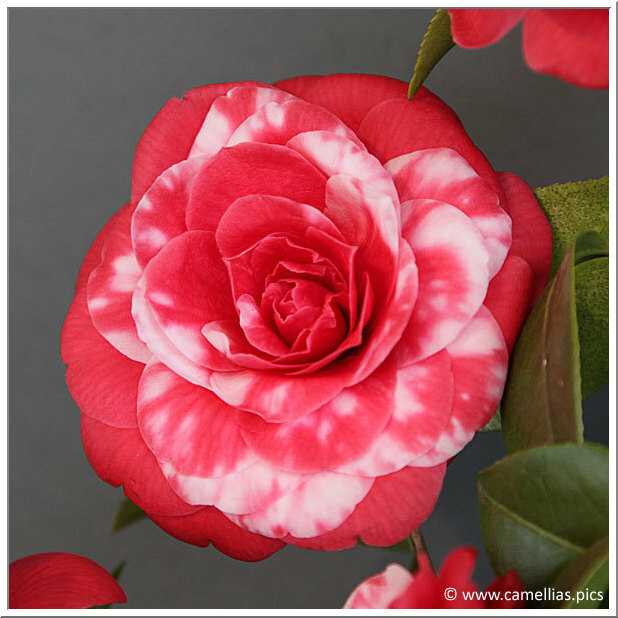 In this case, a comment has been added in the description of the camellias concerned. This year, we had 151 295 visitors who came to visit us (286 761 pages seen). Thanks for your fidelity. 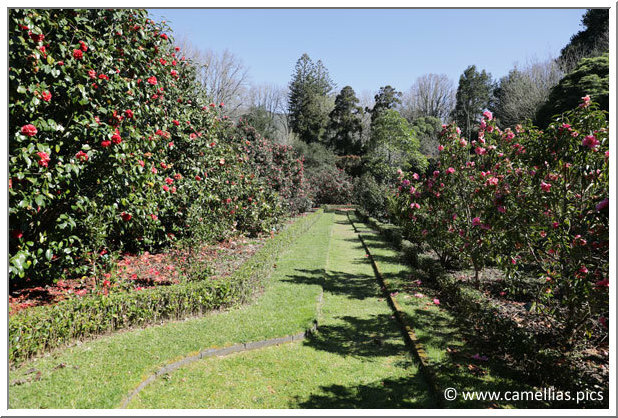 We publish today 21 camellias and three pages devoted to the Azores, in the island of São Miguel, with three places to visit, the park of Terra Nostra, the Mata Jardim José do Canto in Furnas and the gardens of Ponta Delgada. Today, we passed the millionth visitor, 12 years after the opening of the site, thank you all. 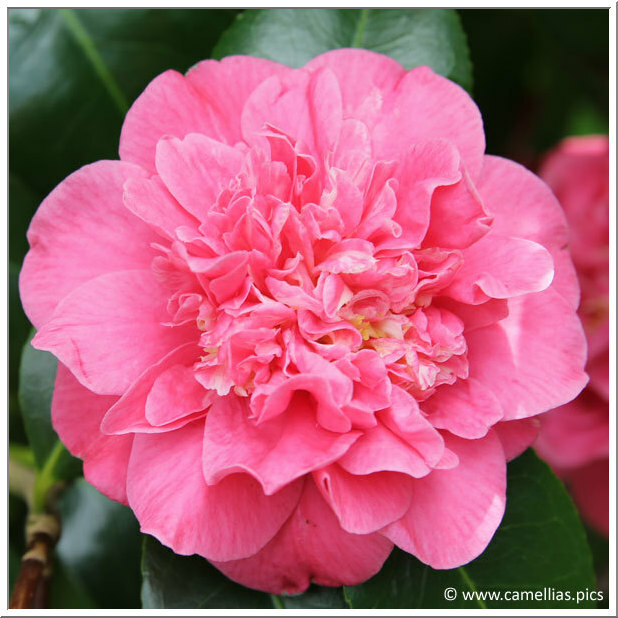 In his honor, we publish 20 new camellias and the 2200th, 'Otahuhu Beauty', a camellia from New Zealand and a sport of 'Aspasia Macarthur'. 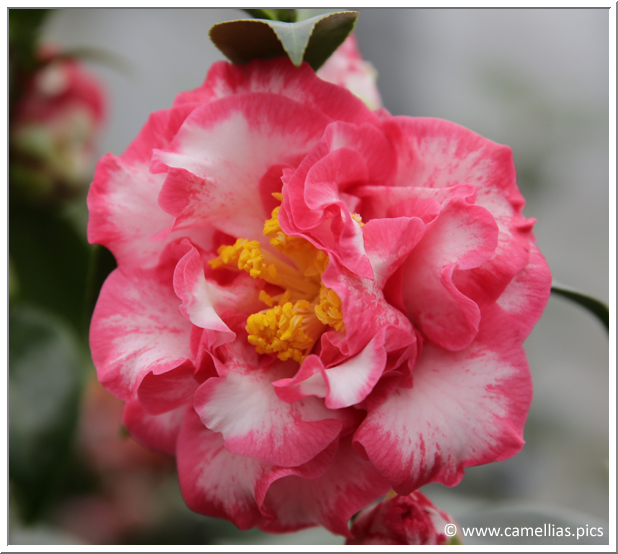 For the 12th anniversary of the site, we publish 67 new camellias including the 2 100th of the nomenclature. 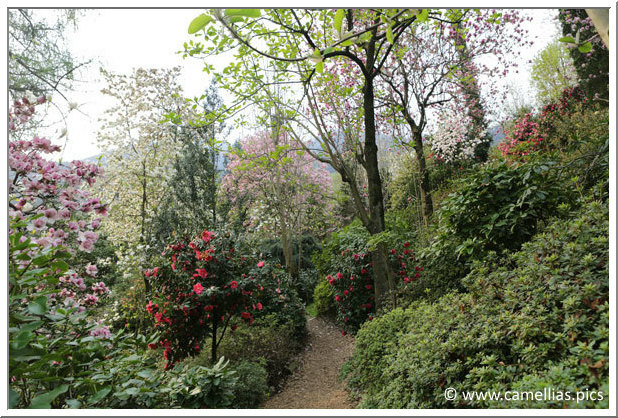 It is 'Carolinea', a japonica, seen in a private garden in Oggebbio (VB) near the Lake Maggiore, in Italy. This year, we had 119,285 visitors who came to visit us (213,158 pages seen). Thanks for your fidelity. 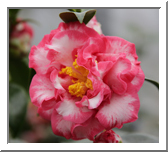 We publish today 24 new camellias including the 2 000th of the nomenclature. 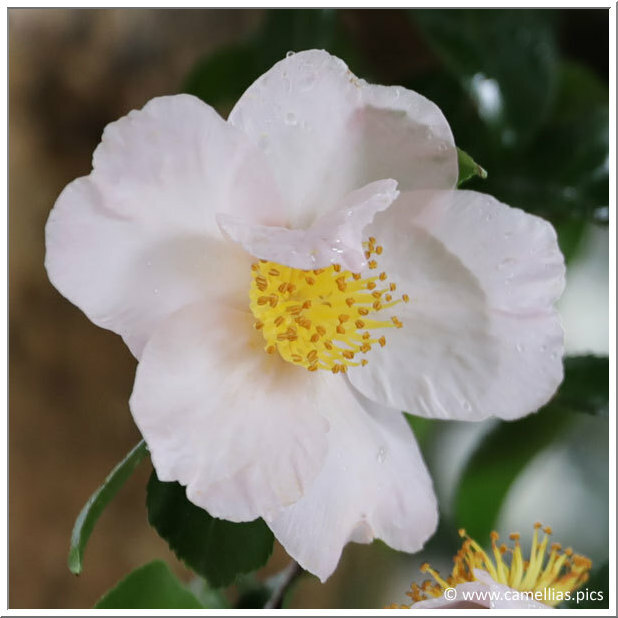 It is 'Orsola Poggi', a sasanqua, seen at the Villa Anelli, near the Lake Maggiore, in Italy. 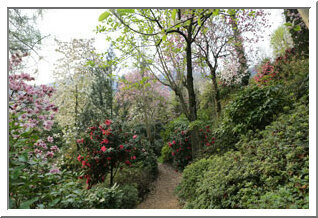 We also propose the visit of Villa Maioni, near the Lake Maggiore, in Italy, in Verbania Pallanza (VB). 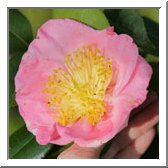 For the 11th anniversary of the site, we publish today 50 new camellias including the 1 900th of the nomenclature. It is 'Bella di Firenze', a japonica, seen in a private garden near the Lake Maggiore, in Italy. We propose three new visits in Italy, the Villa Anelli, the Botanical Gardens of Villa Taranto and a private garden near the Lake Maggiore in Cannero Riviera (VB). 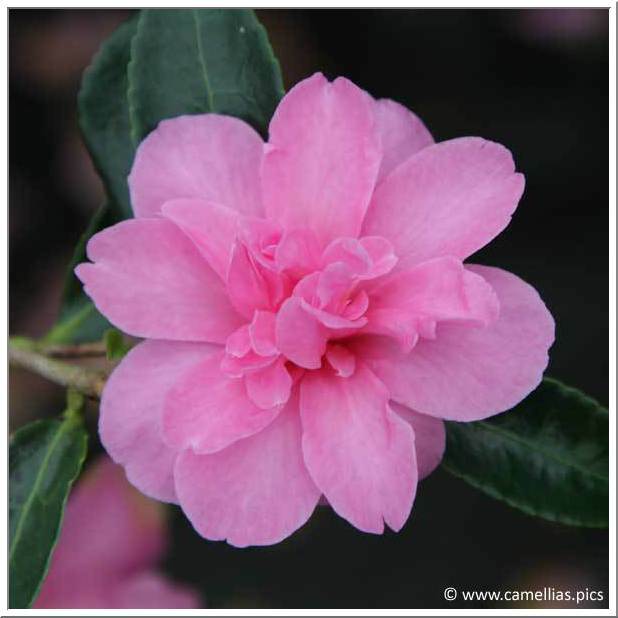 We publish today 23 new camellias in the nomenclature, including the 1 800th 'Betty Sheffield Supreme', one of many sport of 'Betty Sheffield' seen in a nursery at Kurume, Fukuoka Prefecture, Japan. 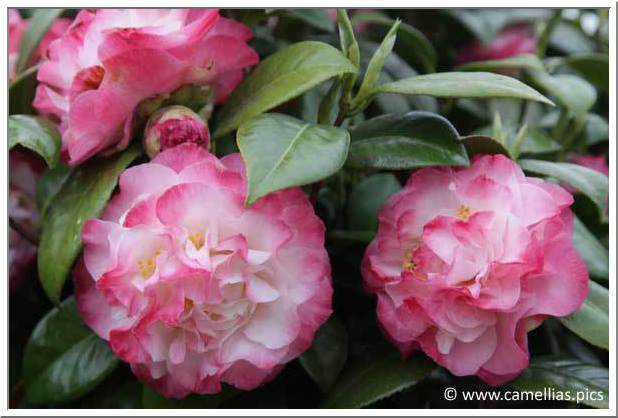 We publish today 53 new camellias in the nomenclature. 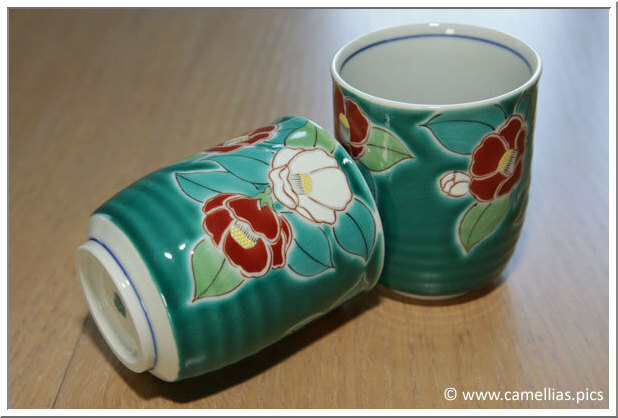 We also added two new beautiful cups in the collector page. 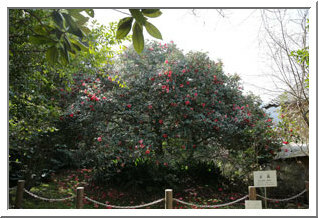 and two private gardens, one with camellia bonsaï in Kumamoto in the other containing famous centenary subjects in Kusano-machi. 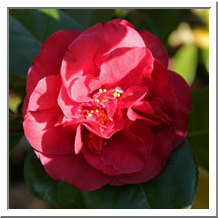 We publish today 27 new camellias in the nomenclature, including 'Mikio' an obtention from Mikio Akashi (Japan). To thank the persons who have had the kindness to receive us during our trip in March in Japan, we publish a first picture of a 'Masayoshi' camellia, 300 years old seen in a private garden in Kusano-Machi, Kurume. Pages dedicated to the beautiful gardens visited will also be published in the coming months. 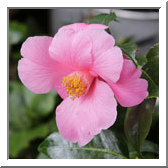 We add 77 camellias in the nomenclature, including the 1700th, 'Sakuragari', a Higo camellia seen at the Kumamoto Castle. 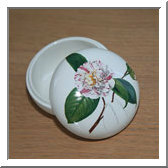 All the 77 camellias are originated from and were seen in Japan, many others will be published during the coming months. This year, we had 89 201 visitors who came to visit us (199 447 pages seen). Thanks for your fidelity. 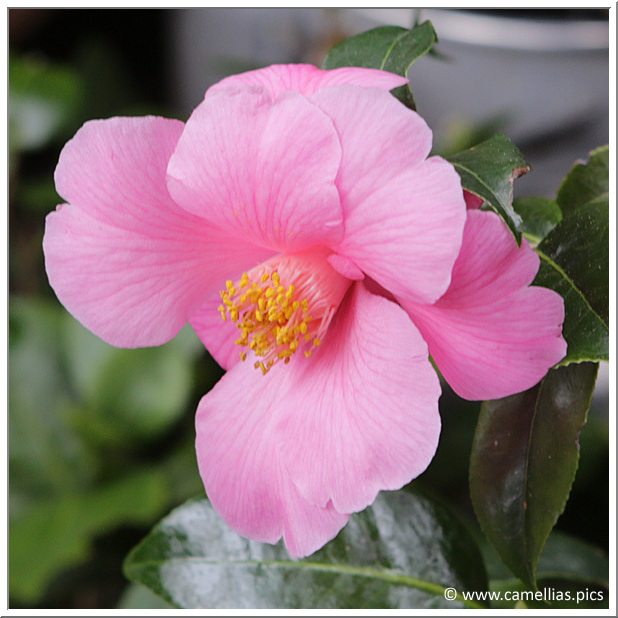 01/01/2015 : What is this Camellia ? 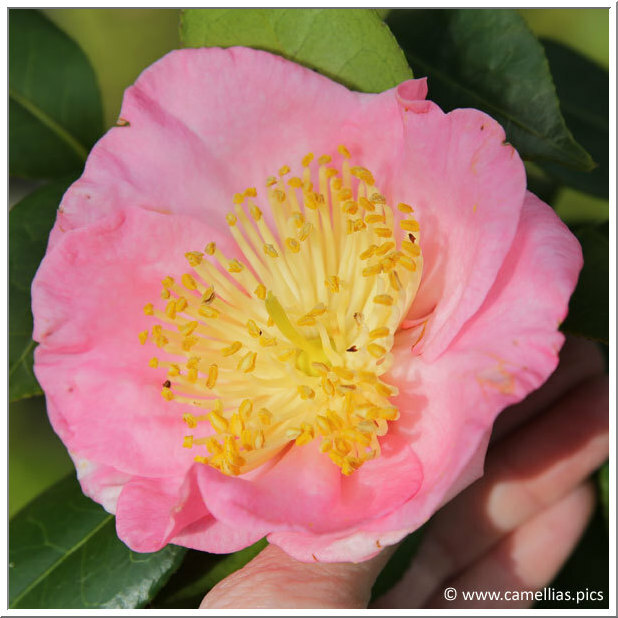 To celebrate this new year, we publish today 24 new camellias and a new simplified search function which will allow you, by answering to five questions illustrated by photos, to identify a camellia. Obvioulsy, the more answers you give, the more accurate the answer will be. We wish you a very happy new year. 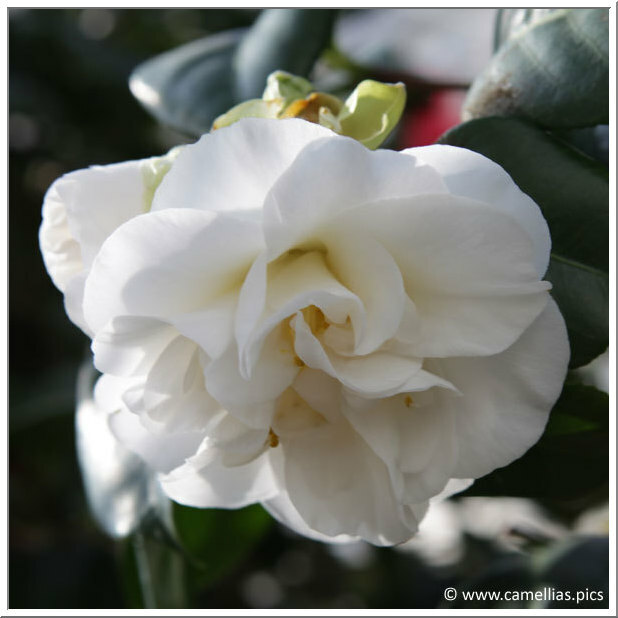 We publish today 22 new camellias including the 1 600th of the nomenclature. 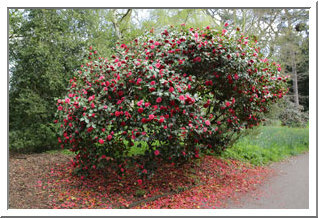 It is 'Lady Mary Cromartie', a japonica, seen in Mount Edgcumbe England, at Plymouth. - three new private gardens in the west of France, in Finistère, one near the sea, another in terrace and the last one presenting more than 600 cultivars. 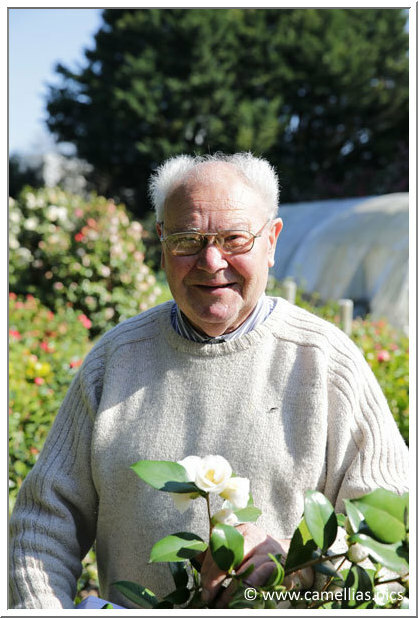 The 7th of July 2014, Alfred Lemaitre, professional and camellias lover, passed away. 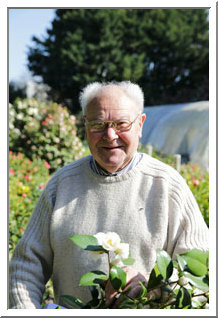 We would like to acknowledge his kindness and pay tribute to its high competence in the Camellia field. His experience and knowlegde have often been useful. 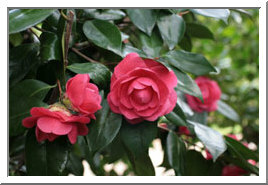 His camellias can be found in the nomenclature. Our hearts and thoughts go out to her family, friends and loved ones. 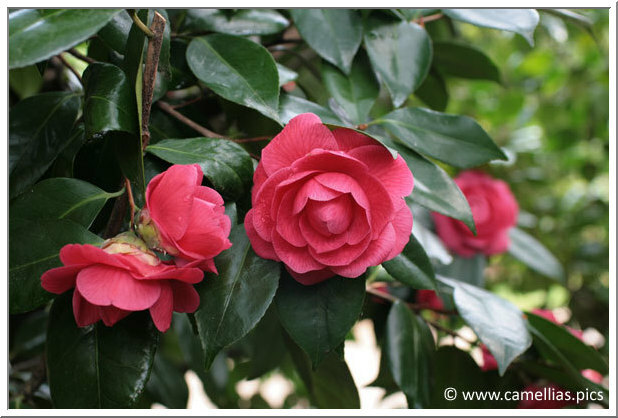 We publish today 26 new camellias in the nomenclature and three new pages dedicated to the visit of Mount Edgcumbe in Plymouth and of two new private gardens, one near Nantes, the other one near Köln. 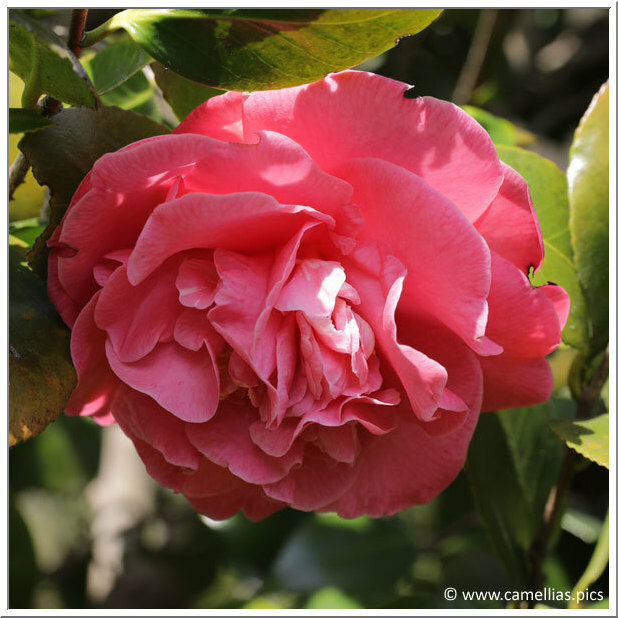 For the 9 th anniversary of this site, we change its name to Camellias.pics and publish the 1 500 th camellia of the nomenclature 'Général Cambronne', a French character (coming from Nantes) well known for its famous word pronounced at the battle of Waterloo the 18 th of June 1815. It was raised by Alfred Lemaitre. This year, we had 90 177 visitors who came to visit us (206 732 pages seen). Thanks for your fidelity. 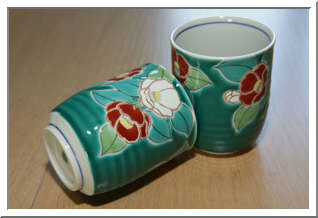 Some new and rare collector's items to see in the collector's page, a Villeroy & Boch coffee pot and two Kutani cups. This year, we had 87 083 visitors who came to visit us (231 335 pages seen). Thanks for your fidelity. 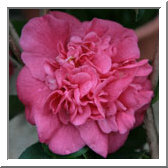 For this anniversary we add 10 camellias in the nomenclature. New visits this year, the Domaine de Carheil near Nantes in France, the Japanischer Garten in Leverkusen near Kölnh in Germany and three new private gardens in the suburbs of Köln. 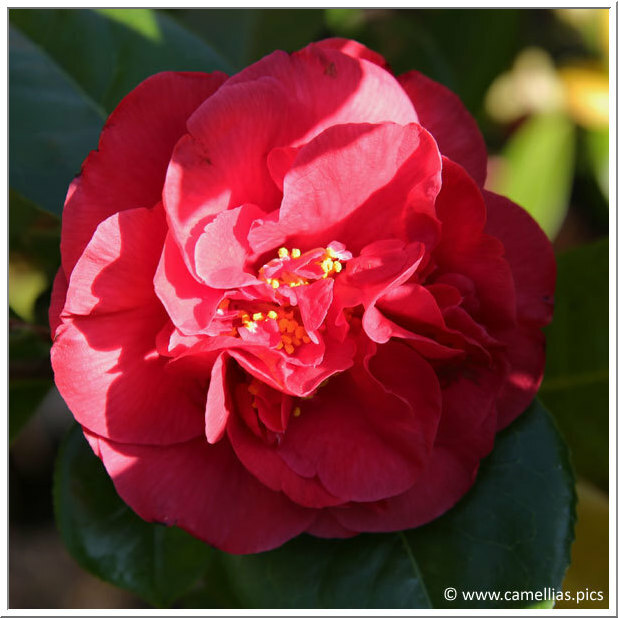 Exactly one year after the 1 300 th camellia of the nomenclature, we publish 20 new camellias, including the 1 400 th. It is ' Carolyn Williams', a Williamsii hybrid, seen in Germany, in Köln. This year, we had 85 714 visitors who came to visit us (245 100 pages seen). Thanks to all. 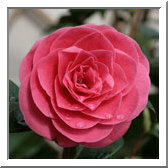 For this anniversary, we add 30 camellias in the nomenclature. 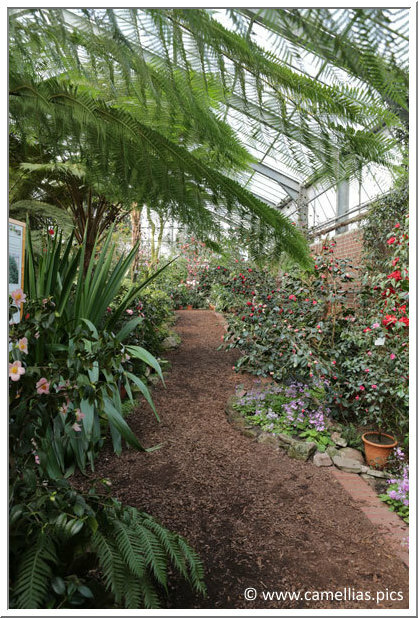 A lot of new visits this year, the Palmengarten in Franckfurt, the Botanischer Garten in Köln, the Chiswick House and the Isabella plantation (Richmond Park) in London and also a new private garden in London. 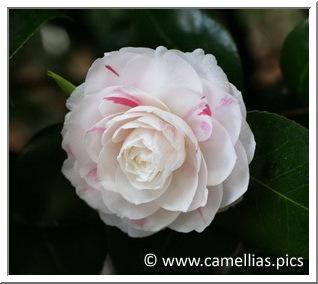 Here is 1 300 th camellia of the nomenclature. 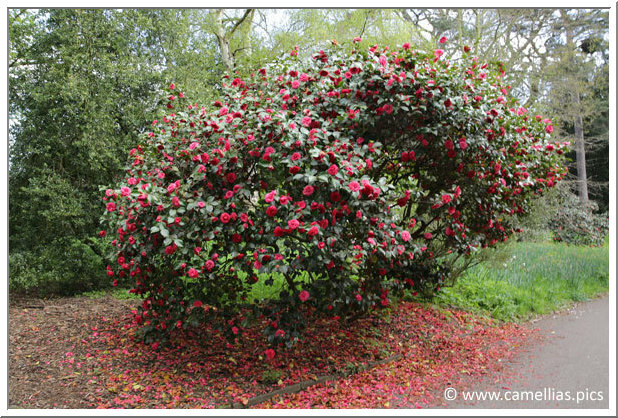 It is ' Welbankiana', a japonica camellia, seen in the Chiswick House (England). 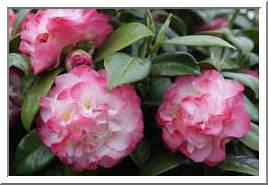 We also add 20 new camellias in the nomenclature. 12/02/2012 : Save your favorites ! 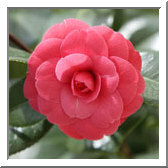 Now, you can save on your workstation the list of your favorite camellias. The page Save my favorites will give you the steps to follow. 15/01/2012 : 400 000 visitors ! 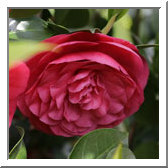 To honour the 400 000 th visitor, we add 20 new camellias in the nomenclature. This year, we had 76 921 visitors who came to visit us (228 537 pages seen). Thanks to all. 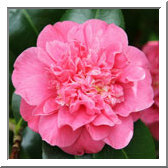 For this anniversary, we add 25 camellias in the nomenclature. We continue the visit of parcs around Nantes (France) with the 'cimetière paysager' and a new private garden. 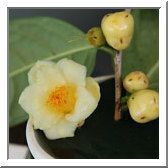 Here is 1 200 th camellia of the nomenclature. 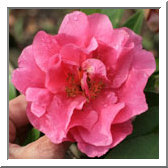 It is ' Elfin Rose', a sasanqua camellia. To stay informed of all publications of Lovcam.org, subscribe to our RSS feed by clicking on the icon. 03/09/2010 : 300 000 visitors ! 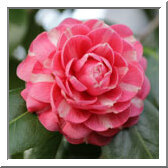 To honour the 300 000 th visitor, we add 15 new camellias in the nomenclature. This year, 91 534 visitors came to visit us (261 167 page seen). Thanks for your fidelity. 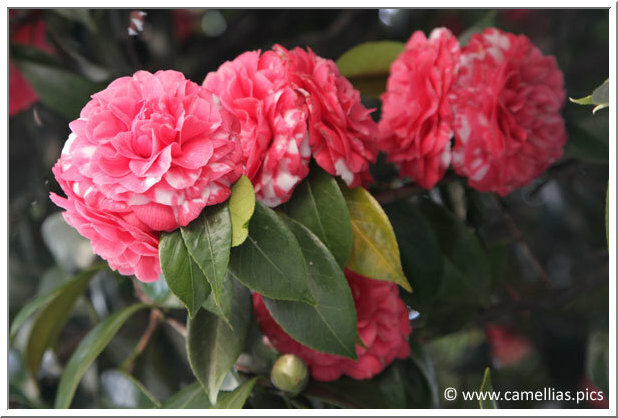 For this anniversary, we add 11 camellias in the nomenclature and pages introducing new destinations to visit : the Parco Botanico del Gambarogno, the Isole di Brissago (both in Switzerland) and the Parc de Procé in Nantes (France). We also completed a major update of photos (almost 550 new) in the nomenclature. On every page describing a place to visit, a click on the globe will show its location on a map. 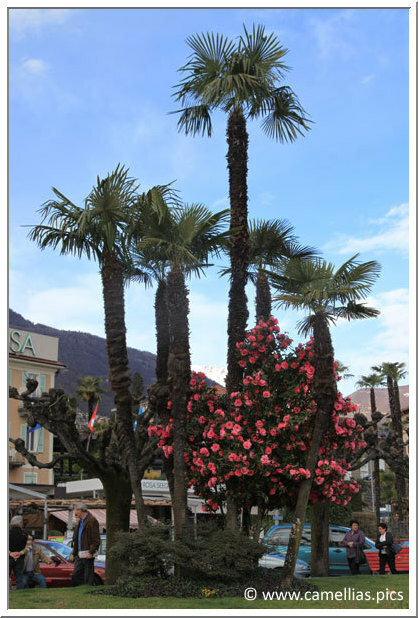 Try it to see the location of the Giardini Rusca in Locarno, Switzerland (photo on the right). 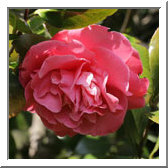 Two new private gardens have been added to their dedicated page. It is ' Elisa Mercoeur', a new plant created by Alfred Lemaître in 2000 and planted for the first time in the jardin des plantes de Nantes the 24th of june 2009. The complete french to english translation is now finished. 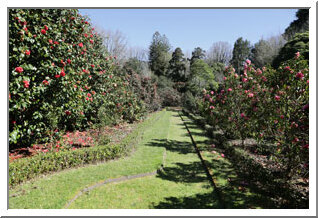 We've add a page related to the camellia's history and pages, in the Visits' part, about private gardens. Of course, if you find mistakes, please don't hesitate to tell us. 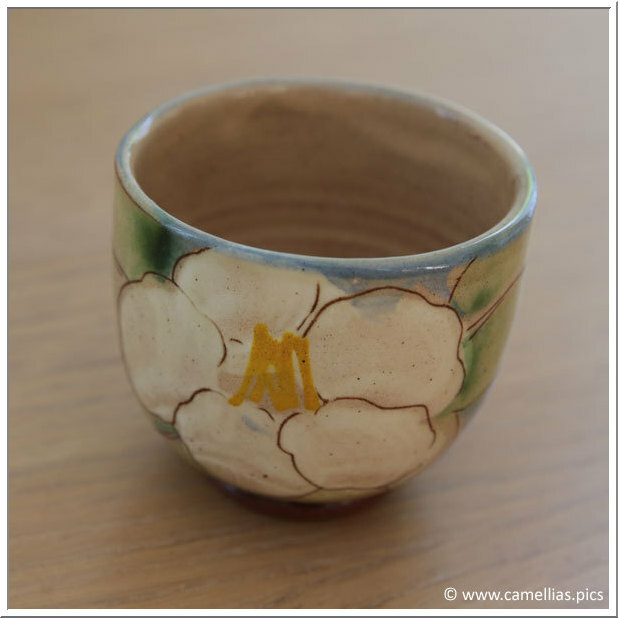 Here is a new page with remarquable objets for camellia collectors. 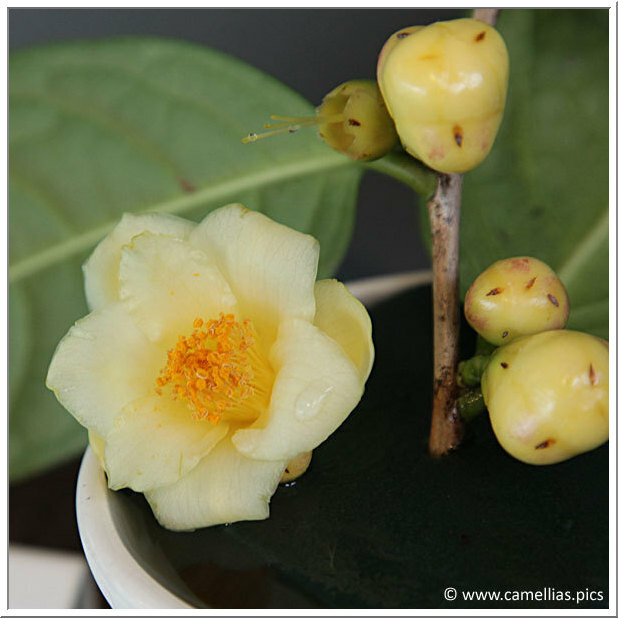 It took us 4 years, 1 month and 16 days, here is, in honor of the 200 000 th visitor C. nitidissima, the 1 000 th camellia of the nomenclature, remarkable by its yellow color. 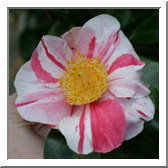 We have also modified the sports page to display all the sports and seedlings of the camellias in the nomenclature. 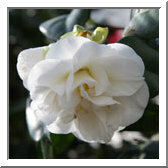 In the nomenclature, the icone will display the camellia's genealogy. This year, we had 78 909 visitors who came to visit us (234 080 pages seen). Thanks to all. 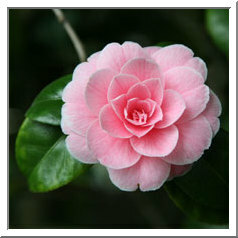 For this anniversary, we add 42 camellias in the nomenclature. The 1000 th is near, we will publish it soon ! 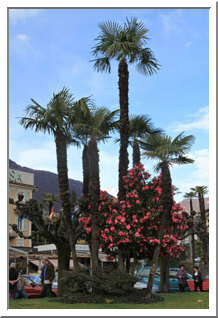 We also invite you to a visit of the beautiful city of Locarno (Switzerland) and its Camellia International Show. 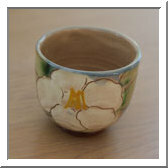 Here is ' Coquettina', the sport of ' Coquettii' and the 900 th camellia of the nomenclature. We invite you to take a look at the last 100 photos, we have a lot of new ones. 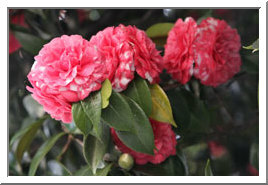 The number of camellias matching your search criteria is displayed after each input. 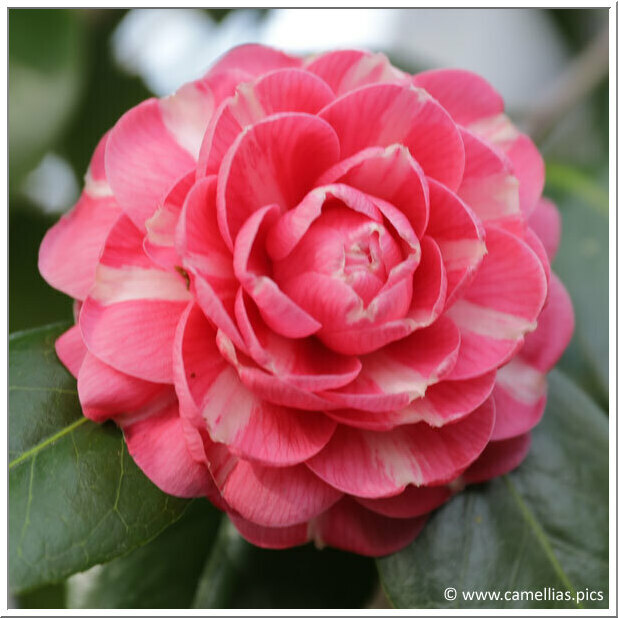 The description of each camellia has be updated with the origination date indicated in " The international Camellia Register". The search function has also been modified. 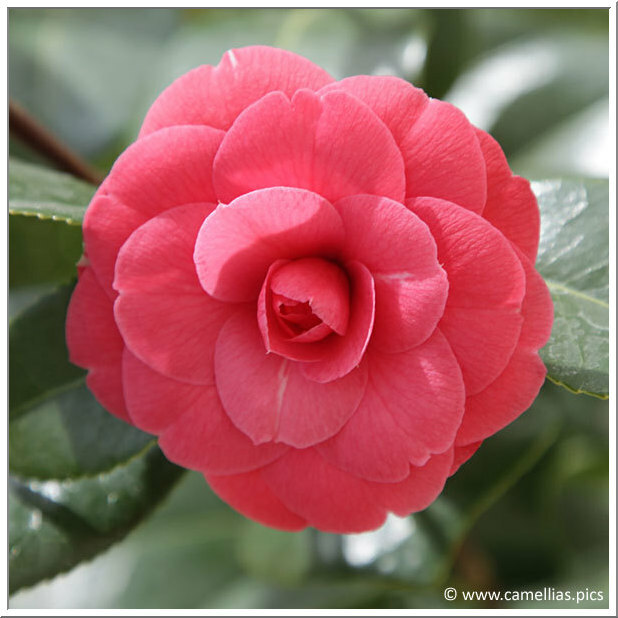 The ICS has published a web version of the reference book on camellias " The international Camellia Register". We want to thank the 66 557 visitos who came to visit us (223 258 pages seen). Thanks to all. 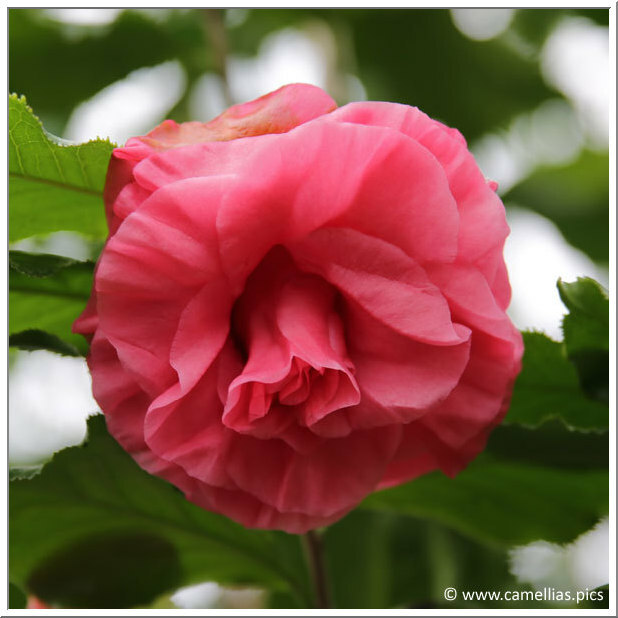 This year, we want to offer you a small history of the camellia (in french at the moment). 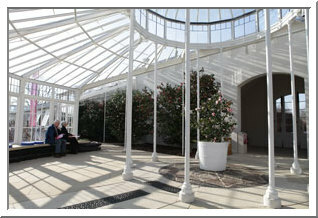 The page dedicated to the visit of the Royal greenhouses of Laeken (Belgium), has been updated after this year's visit (photo on the right ' Montironi Rubra'). 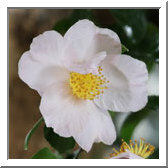 The zoom on the photos has been modified to add the name of the camellia below the photo. 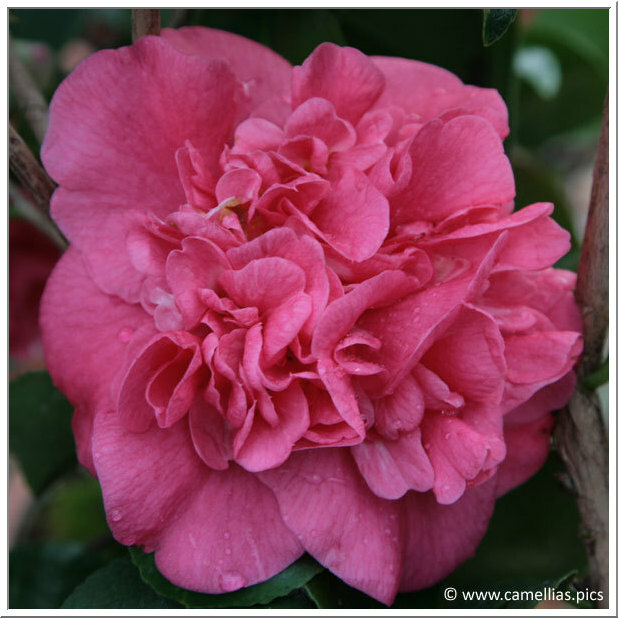 March 26, 2008, in the honour of the 100 000 th Lovcam visitor, here is ' Casimir', the 800 th camellia of the nomenclature, originated by Alfred Lemaitre (France). 04/01/2008 : You can now zoom on certain photos when you see a small magnifying glass when you fly over them. All the photos on this page allow this, so try ! July 12, 2007, here is ' Captain Rawes', considered as the first C. reticulata cultivated in Europe. It was brought from China in 1820 by Captain Rawes. 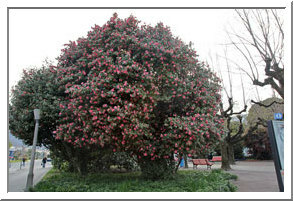 It flowered for the first time in England in 1826. This second year, 38 317 visitors came to visit us (153 558 pages seen). For this anniversary, we have created a new page dedicated to sports and added a new function in the nomenclature. 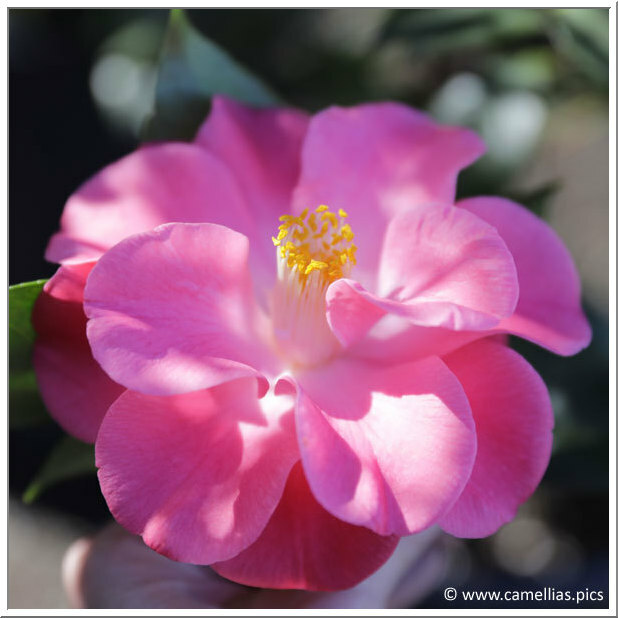 Therefore, when a camellia is a sport or a seedling of another cultivar, a link allows you to jump to the original camellia. You can see this behaviour, for example on ' Elegans Champagne'. 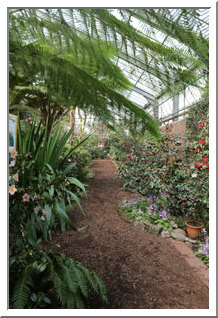 Pages dedicated to the visits of Jardin des Plantes de Nantes, Domaine de Trévarez, Bambouseraie d'Anduze and Parc Floral de Paris have been deeply modified ( and are now in english). 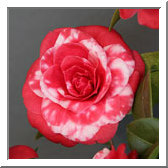 This new page will show you outstanding camellias. 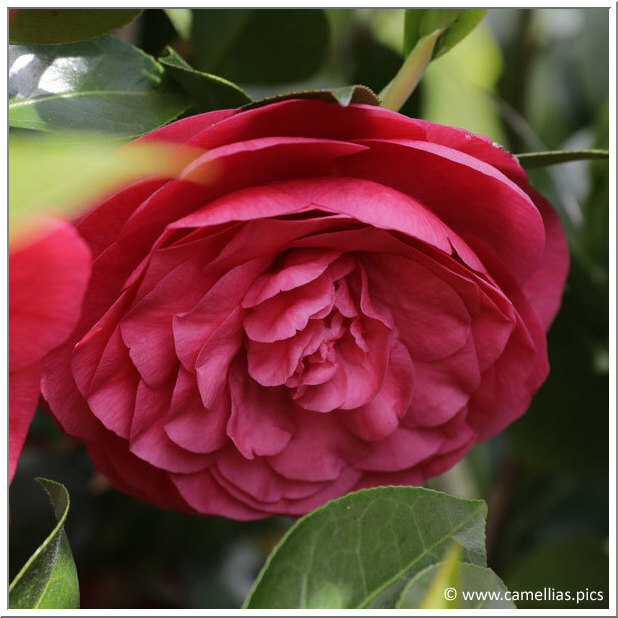 Mars 24, 2007, a new camellia in my garden 'Katherine Nuccio', color rose-red. This new function allows you to see quickly the last 100 photos published. 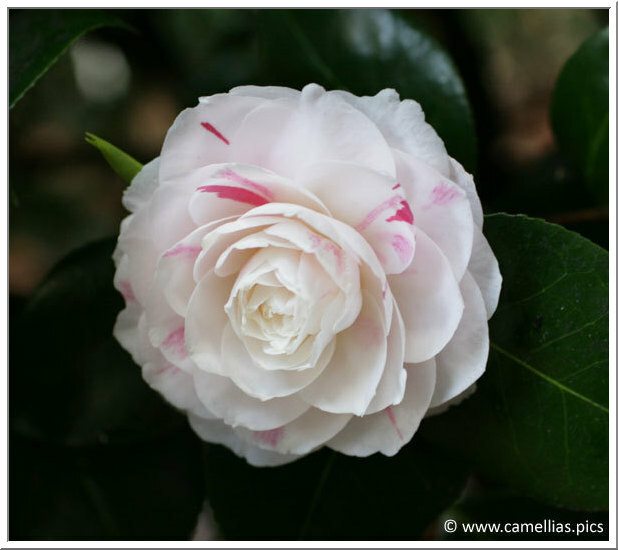 January 27, 2007, 20 months after the site creation, we have the pleasure to present you the 500 th camellia of our nomenclature. 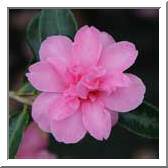 It is ' Charmine', a pretty pink japonica. 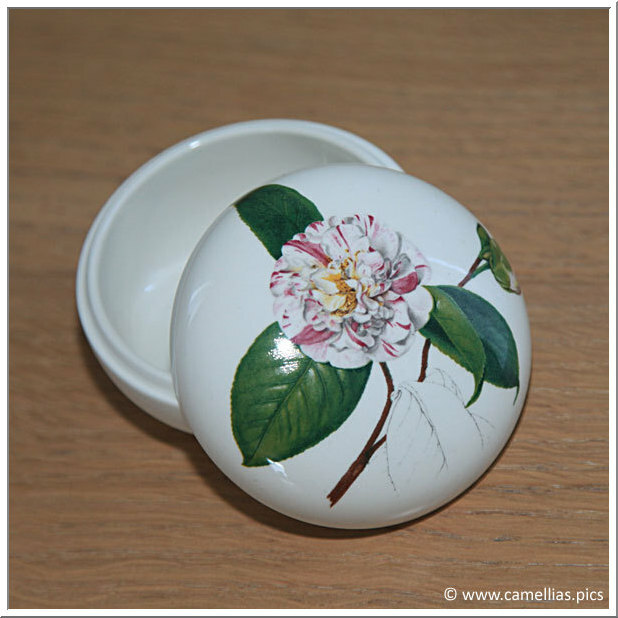 A new function, using a cookie, allows you to mark your favourites camellias. 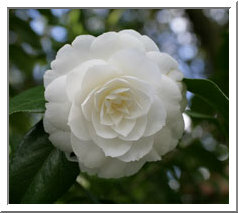 On each nomenclature card you will find an option "Add to my favourites" which marks the camellias as one of your prefered. The menu "See my favourites" shows them all. Just try, it is easy. And to celebrate this first anniversary, the 8 939 visitors and 35 376 pages seen, we have decided to implement a new presentation. We hope you will like it and remain receptive to your remarks.